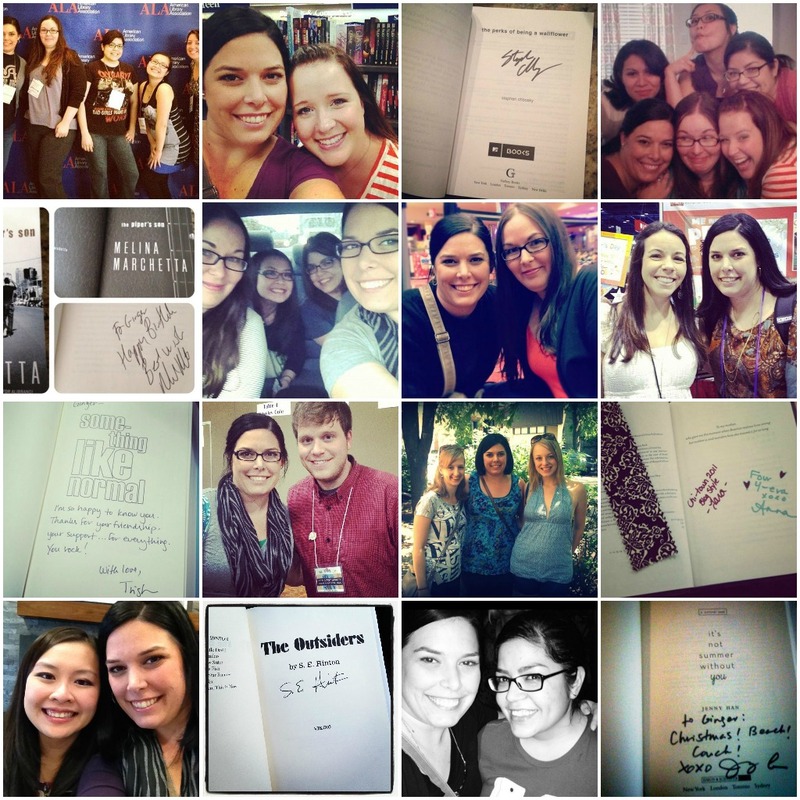 Photos from top left to right: 2012 ALA Mid-winter with Sarah, Jess, Lena & Yani | Magan came to visit | Signed copy of The Perks of Being a Wallflower | Hanging out with Cynthia, Lena, Jess, Sarah & Magan | Signed copy of The Piper's Son | Austin Teen Book Fest 2012 with Sarah, Lena & Jess | Hunger Games midnight premier with Sarah | Meeting Jessi Kirby at TLA 2012 | Signed copy of Something Like Normal | Hanging out with Corey Whaley | Going to Chicago to see Tara & Anna | My souvenir from Chicago - Divergent signed by Tara & Anna | Lena & me in Seattle | Signed copy of The Outsiders | Jess & me at our first concert - The Naked & the Famous | Signed copy of It's Not Summer Without You - Christmas Beach Couch! THIS IS GORGEOUS! Love you! Love this post! So pretty! The only problem I see is that you + me have not met. This just needs to freaking happen! 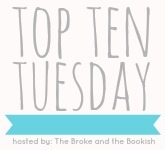 I love that you made this list with pictures :D It's so clever! Looks like you've had a lot of bookish fun! These are some pretty awesome memories! I loved all the signed books, and it looks like hanging out with the TX gang is always fun. I hope I get the chance to meet you someday soon! What a nice collage! I always like to watch pictures :D Look like you have some great memories there. I love this post!! It brings back so many awesome memories for me too! LURVE YOU GINGER!! Look at your lovely mug all over the place! So many great memories. I can't wait to be among them one day! That is one epic collage! Chicago 2013 or bust!! !